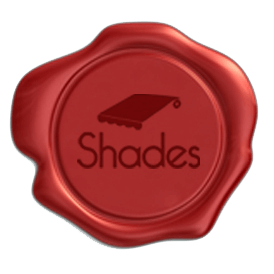 This warranty is provided by Shades awning., Units A to D Apollo Business Centre 158 Trundleys road, London SE8 5JE. Who is entitled to this Warranty? This warranty is only valid for the original purchaser and may not be transferred to any other party. The warranty also only applies in the UK. Subject to the terms and conditions set out here, Shades awning, will provide replacement parts where they are found to be defective in design, manufacture or assembly. The product must be paid for in full to be covered under this warranty, otherwise no claim can be made under this warranty. Detailed instructions in the owner’s manual, states how to install, maintain & operate the products, and failure to follow these instructions will invalid the warranty and relieve Shades awning from any responsibility or liability under this warranty. Photographic evidence is required to support defective parts and a deposit might be required until the defective part is returned to Shades awning for inspection. All components including arms & accessories attached to the awning are warranted against manufacturer’s defects. If the purchaser promptly notifies Shades awning of such defects within 12 months from the date of the original purchase, the original component will be replaced at no charge. After one year, from the original purchase date the defected component will be replaced by the purchaser at the manufacturers full retail cost. Structural support (Arms, Square bars, Front bars and other attached supports) provided that the components are not subjected to excessive winds or water pooling on the fabric. Fabrics under normal conditions, if maintained, operated, used and stored in accordance with instructions laid out in the owner manual and not subjected to excessive wind, snow and water pooling on the fabric. Gear mechanisms or electric motors. Not included, any faults accruing from modifications or additions to the awning structure and support system. Awnings are not designed to be used on moving vehicles, therefore any damage that results from the purchasers actions will not be valid by this warranty. If there is any failure or damage to this product caused by unintentional or negligent action by the purchaser or any other person is not valid by this warranty. Any modification or addition to the awning structure and support system or to the electric motor will invalid your warranty. Damage occurring from excessive wind, snow or water pooling on the fabric. Damage occurring from the use of hard chemicals or bleach as they can deteriorate the fabric.